The best way to get to know Joburg is to hang out with an insider. In our Ask a Local series we chat to some of our favourite Joburg city people to get the lowdown on what makes Joburg unique. This week Sifiso Ntuli gives us his take on the city. SIFISO NTULI is the co-founder of Brixton's Roving Bantu Kitchen, a bar, cafe, meeting place, events venue and all-round African soul food kitchen that sits at the heart of the long-running upward revival of the historic suburb of Brixton. Developed in the early 20th Century, Brixton has historically been a predominantly working-class community. The neighbourhood became infamous in the late 1970s and 1980s when the so-called 'Brixton Murder Squad', a special police branch based at the Brixton Police Station, carried out the intimidation, torture and murder of numerous prominent anti-apartheid political activists. Today Brixton is more known more for its multi-cultural, multi-racial and mixed-income mix of residents (not always a given in a city which still bears the deep scars left by spatial apartheid) and a strong community spirit. The name The Roving Bantu comes from a nickname that Sifiso earned during his years spent as a political exile. Sifiso fled South Africa in the 1980s as a student, hopping across Africa from Swaziland to Tanzania before winding up at university in Canada as a refugee. 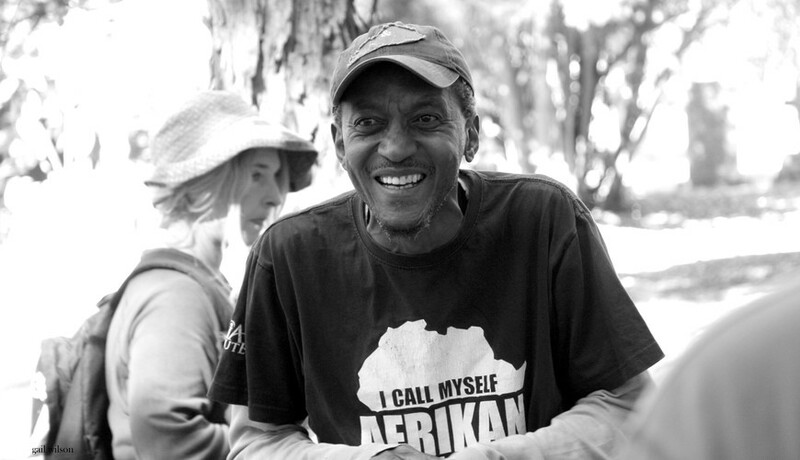 Upon the advent of democracy in 1994 he returned to South Africa and among numerous other pursuits worked as a documentary filmmaker and as a music promoter before launching the Roving Bantu Kitchen and Treks with his wife Ashley in 2015. 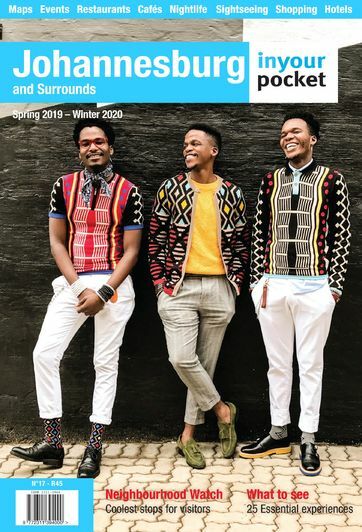 Through The Roving Bantu Sifiso and Ashley share with the city a love of music, community and pan-African food, and through the Roving Bantu Heritage Treks walking tours an intense passion for the city's forgotten and lesser-known neighbourhoods. I see myself as a prisoner of Hope in a country founded by some of the worst individualists known to humanity. Mine is to attempt to make sense of the absolute nonsense. That said, we started the Roving Bantu Kitchen, a cultural eatery and gathering place, to provide a space for people to talk, to meet, to debate, to make a difference, to come home to and for us to remember who we are. It's a cultural expression of what I hope for the future. The struggle is a cultural one and it is not over. What makes you stay in Joburg? Hope, love and my family. Home is where the heart is. Brixton, the heart of apartheid. If we can transform Brixton maybe there is hope for the country. One thing nobody would expect to hear about Joburg? It's safe. Bersu Fkaid on the first floor of the Medical Centre Building in so-called 'Little Addis' downtown. Ethiopian food is ancient with a history over 2000 years old. Having been a refugee myself, seeing so many refugees enjoying food and conversation together as they would be doing back home, it is something special. The prawns at Poppies, a cafe-bar in Melville. Archies' Pub & Grill in Fordsburg. The people are real and the curry is hot and tasty. An hour out of town, in the Magalies direction. Eating grilled fish at the Cameroonian spot in Rockey Street in Yeoville and then meditating to Nesta Marley and co at the Tandoor club down the street afterwards. 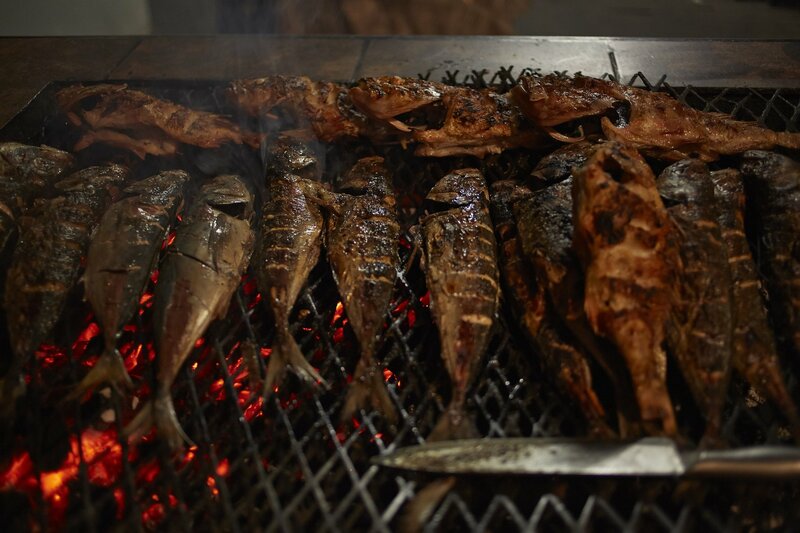 Cameroonian grilled fish at La Cameroonaise in Yeoville. Photo by Dlala Nje. The Roving Bantu Kitchen (of course! ), a tour with us and the Republic of Rockey Street in Yeoville. The memorial of Enoch Sontonga (composer of the hymn Nkosi Sikelel' iAfrika which is now part of the South African national anthem) in the Braamfontein Cemetary. This city is constantly reinventing itself and is full of surprises. Every day there is something new to see and experience. Things are going on. Just step out there and see. A young man called Mpho. He is a recycler who comes past the Kitchen every Sunday to collect recyclables. He is so hard working. He has pride and a big smile. He is an unsung hero of the city. I love seeing Mpho every week. He makes a difference. Don't buy into all the paranoid hype of fear and loathing. Get out there and embrace the city. It has much to offer. Best thing about Joburg: It's in your face and makes no apologies. Worst thing about Joburg: The dirt and the poverty in a land of plenty. If you didn't live in Joburg where would you live? On a farm either in Magaliesburg or in Hazyview in Mpumalanga. Joburg in three words: A Funky Mining Compound. 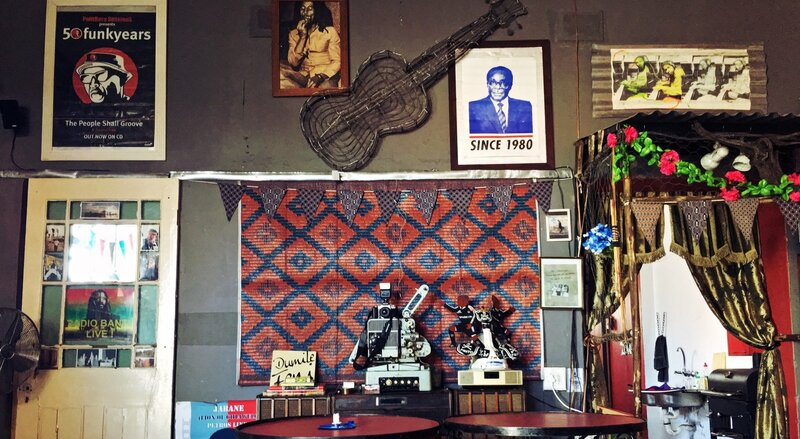 Find The Roving Bantu Kitchen at 125 Caroline St, Brixton and book a walking tour with Sifiso by calling +27 72 223 2648 or online at rovingbantu.co.za.